Jason became a Christian aged 17 and soon after graduated with a degree in Theology from the London School of theology in 1991. He is currently a governor and trustee of the London School of Theology. He then went on to qualify as a high teacher in Religious Education, but moved quickly into financial services. He had a 10-year career as an investment broker and investment adviser in the City of London. This allowed him to be bi-vocational with his wife Bev and help with several church plants in his denomination the Association of Vineyard Churches. He and his wife Bev planted the church they still currently lead on the edge of London in 1997. Jason is now the full time pastor of that church having left his financial services role in 2000. Jason completed a doctor of ministry degree in theology and leadership in 2006 and is close to completing a PhD in theology at Kings College London. His PhD makes an account of the relationship of Evangelical belief and practice with capitalism and then highlights the possibilities for Pentecostal Charismatics as a response to that relationship. He and his wife oversee church planting for their denomination in London. Jason also leads the church planting training track for his denomination. 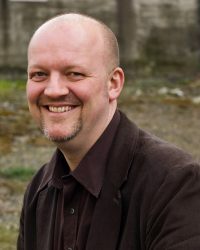 Jason is the lead mentor for an international doctor of ministry in leadership for George Fox Seminary. Jason regularly teaches at churches, denominational conferences, and seminaries on issues of church, culture and leadership.